CCI delivers connectivity to the under-served. Unlimited, Reliable, & Alberta-Owned Internet. Check our coverage map to see our ever-expanding service area. Canada's second-largest wireless internet provider. The wide world of business, in hard to reach areas. Fuel your business with high-performance, dedicated connections. Get support 365 days/year, all from our Calgary Contact Centre. We're true to our grassroots origins. 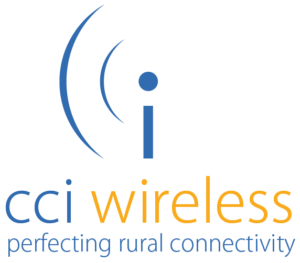 CCI Wireless is an internet service and home phone provider for rural and remote areas of Alberta. Our wireless towers with radio equipment deliver high speed internet connections to hard-to-reach areas of our province. CCI’s purpose is to provide high quality, reliable internet service to the under-served communities without internet infrastructure. We are co-op owned by rural Albertans, so we’re familiar with the challenges of internet outside the city. Whether your home is in a small town, in a hamlet, on an acreage or part of a farmyard, you shouldn’t be cut off from the world. We are a 100% Alberta-owned and operated, and our call centre and network operations center is in northern Calgary. With our grassroots origin and ownership, we were built by rural Albertans, for rural Albertans. Our custom Enterprise Solutions provide dedicated bandwidth, 24/7 monitoring and synchronous download and upload up to 10,000 Mbps to Alberta’s biggest industrial businesses. VOIP (Voice Over Internet Protocol) allows users make phone calls over their internet connection instead through a phone line. The equipment on your home is ready to provide high quality phone conversations upon installation. VOIP Home Phone can be added to a CCI account at any time starting at $21/month with no additional contract. Connect like inner city, even from the outer limits. Your internet performance shouldn’t be restricted by where you live. We’re committed to providing our promised speeds and increasing packages across our network. Every plan features completely unlimited data, meaning worry-free internet use for your entire family or business. No “surprise” charges on your monthly bill. Our services are locally installed and operated. We monitor our network 24/7 at a state-of-the-art Network Operations Centre in Calgary, and you can reach Tech Support 365 days/year.